A database is a large, regularly updated file of digitized information (bibliographic records, abstracts, full-text documents, directory entries, images, statistics, etc.) related to a specific subject or field. It consists of records of uniform format organized for ease and speed of search and retrieval. Content is created by the database producer (for example, the American Psychological Association), which usually publishes a print version (Psychological Abstracts) and leases the content to one or more database vendors that provide electronic access to the data online via the Internet (PsycINFO). A list of all databases available to LMU students. 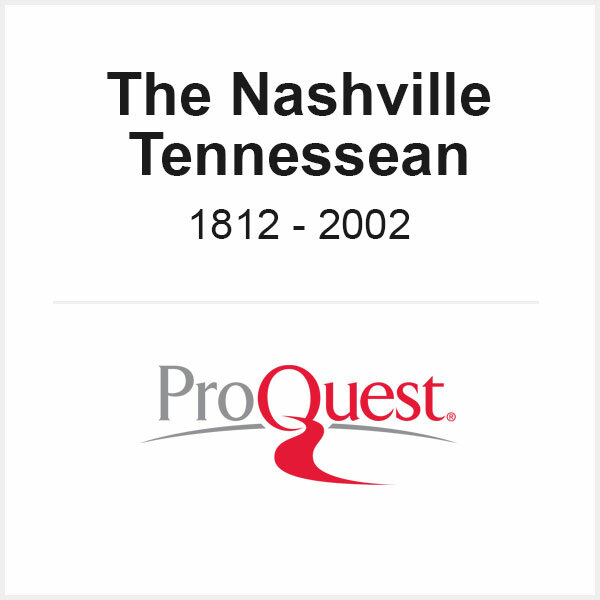 A list of databases provided for free by the Tennessee Electronic Library. An e-journal is a digital version of a print journal made available via the Web or other means of Internet access. A journal is a periodical devoted to disseminating original research and commentary on current developments in a specific discipline, subdiscipline, or field of study. Journal articles are usually written by the person (or persons) who conducted the research. Longer than most magazine articles, they almost always include a bibliography or list of works cited at the end. In journals in the sciences and social sciences, an abstract usually precedes the text of the article, summarizing its content. Most scholarly journals are peer-reviewed. In addition to the thousands of journals available through databases, the library also subscribes to many electronic journals individually. PMLA is the journal of the Modern Language Association of America. Since 1884 PMLA has published members’ essays judged to be of interest to scholars and teachers of language and literature. Social Work is the premier journal of the social work profession. It is dedicated to improving practice and advancing knowledge in social work and social welfare. A newspaper is a serial publication, usually printed on newsprint and issued daily, on certain days of the week, or weekly, containing news, editorial comment, regular columns, letters to the editor, cartoons, advertising, and other items of current and often local interest to a general readership. EdWeek.org provides access to Education Week content (searchable back to 1981) as well as daily news, hot topics, news and opinion blogs, and webinars on educational topics. Knoxville News Sentinel full text articles from August 15, 2000 to 2016. 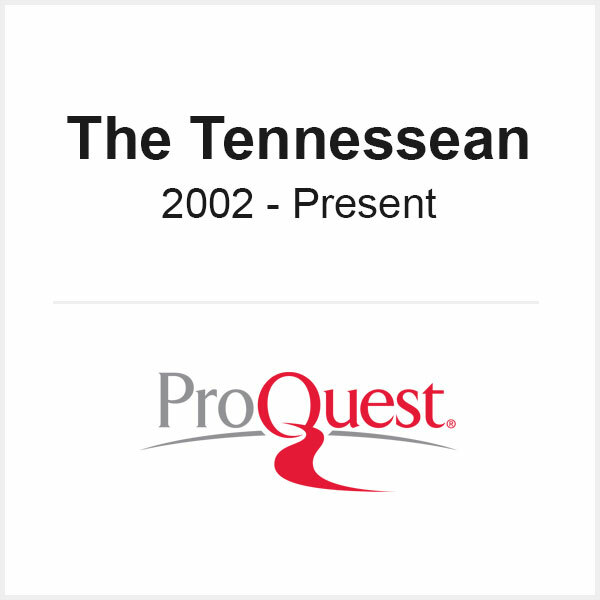 The Tennessean full text articles from 1812 to 2002. The Tennessean full text articles from 2002 to present. Media is a term for nonprint library materials such as films, music, slides, videorecordings, audiorecordings, still and moving pictures, etc. The ARTstor Digital Library is repository of hundreds of thousands of digital images and related data in a a fully searchable database. You may only access and use the ARTstor Digital Library, and any content in the Library, for educational and scholarly uses that are noncommercial in nature. Please note that you must complete a free registration before using the full features of ARTstor. Featuring completely new content and new clinical skills videos, Bates’ Visual Guide delivers head-to-toe and systems-based physical examination techniques for the (Advanced) Assessment or Introduction to Clinical Medicine course. The site features more than 8 hours of video content. Naxos Music Library is the world´s largest online classical music library. Currently, it offers streaming access to more than 123,700 CDs with more than 1,882,100 tracks of both standard and rare repertoire. Over 800 new CDs are added to the library every month. The library offers the complete Naxos and Marco Polo catalogues plus the complete catalogues or selected titles from over 650 record labels, with more labels joining every month. Along with classical music, jazz, world, and pop/rock are also represented. NML can be accessed from any computer, anywhere, anytime. With the iPhone/iPod and Android mobile apps, subscribers can also access the service on the go, and the HTLM5 player can stream music though the standard internet connection of the most phones and tablets. Oral History Online is a landmark database of English language oral histories. It contains at present more than 34,000 pages of full-text content that is available exclusively in Alexander Street Press databases. This full-text material includes Ellis Island oral history narratives and rare Black Panther Party interviews. With each quarterly update of Oral History Online, we will add more of such proprietary (in-copyright) full-text interviews. A mobile app is an application program designed to run on a handheld device, such as a smartphone, tablet computer, or e-book reader. This easy-to-use free app gives users access to the Gale databases held by the library. 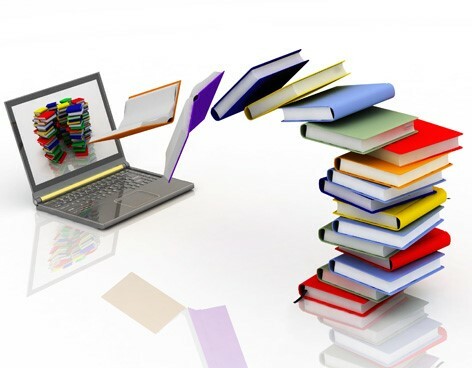 Search for journal articles, ebooks, and more! Choose "Academic" then "Lincoln Memorial University" and the password is "abraham." For instructions on downloading and using this app click here. Over 100,000 CDs and 1,500,000 tracks of music are now available in the palm of your hand, with thousands of recordings added every month.